Just about any time of the year, you can find people in the woods or on the beach riding their four-wheelers, side-by-sides, and four-wheel drive vehicles. Whether it’s sunny, cloudy, windy, hot, or cold, many brave the elements for a chance to get muddy, play in the creeks and the sand, or just enjoy the view with some friends. Some even ride in the rain. With that said, whenever you choose to go, there are some safety tips you should not only keep in mind but put into practice. How many can remember growing up and Mom being insistent on you wearing a helmet and pads? That was just for riding a bike or skateboarding. If you crashed one of those, you could get a concussion, but you were more likely to incur some road rash. Driving an all-terrain vehicle can be much more dangerous. Some four-wheelers and side-by-sides can travel upwards of 60 miles an hour. Make sure you wear the appropriate gear. For ATV drivers and passengers, you should have an off-road or motocross helmet. They are not only good for protecting your head in an accident but a full face shielded helmet can protect you from bugs smacking you in the face. They will also keep the wind off you so you can avoid fatigue from fighting the wind and see better. You should also invest in some knee and elbow pads, at the very least. Always make sure to wear any seat belts provided by the vehicle you are in and dress for the weather. If there is snow on the ground, it’s a good idea to wear a few more layers of clothes. Taking a day out in nature on an ATV is one of the most exciting adventures you can take outside, but it also has its perils. Unfortunately, accidents do happen. If you are alone and disabled in a wreck, it could spell impending doom. It’s nearly impossible to drive with a broken appendage and can be outright life-threatening to even move after an accident in some cases. Always travel with a buddy. Having an extra person along could mean speedy help in the time of trouble. Also, depending on the terrain you choose to traverse, it’s really easy sometimes to get stuck. There are sand pits and mud holes that will refuse to even let a four-wheel drive vehicle loose. Having a friend present with a tow cable could come in handy. If not, make sure to have a towing company on speed dial. There are several ways one could approach this title, but we want to cover the safety side. Anytime you go out on a trip with your ATV, make sure you have a first aid kit above all else. This will come in handy should anyone incur cuts and scrapes or have a small run in with the residents of nature. They also include directions for performing CPR if necessary. Next, pack some water. Water is good to quench your thirst, in general, while you are out, but it could also serve to hydrate you if you got lost or wash a significant wound. Also, make sure to pack some snacks or whatever you need for a picnic. Some rides can end up being quite long and you will need your strength. Last, but not least, pack the toilet paper. There are no porta potties in the wild. Having toilet paper with you will keep you from grabbing the wrong leaf when nature calls. 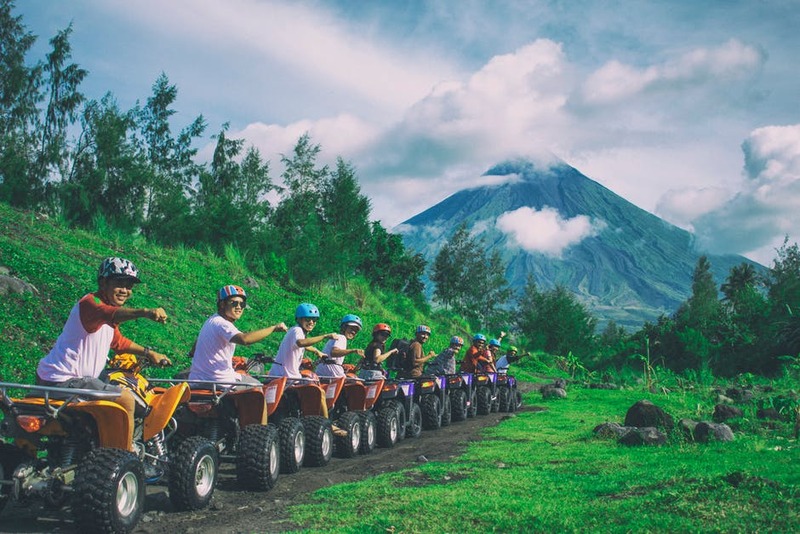 Driving and riding on your favorite ATV can be the time of your life if you will take the time to follow the tips above.